Singapore’s Tian Tian Hainanese Chicken Rice was made world-famous by Anthony Bourdain’s popular foodie/travel show No Reservations. Bourdain visited the first branch located at Maxwell Food Centre, but it has since expanded from a humble hawker stall to include a full fledged restaurant on Joo Chiat Road. 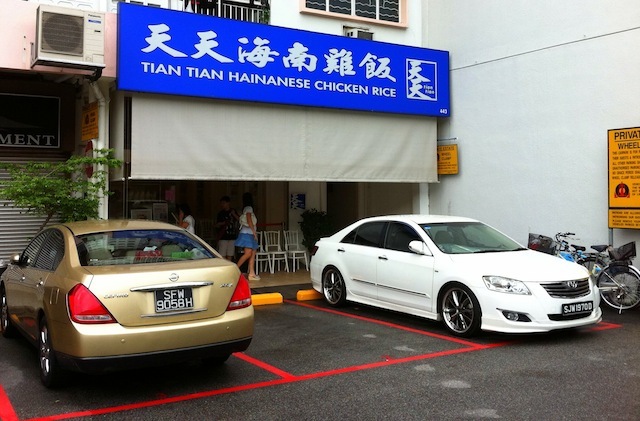 We decided to try this stand-alone air-conditioned chicken rice joint because many claim Tian Tian Hainanese Chicken Rice is one of the best in the country. Often considered the ‘national dish’ of Singapore, chicken rice is much more that it appears: boiled chicken and plain white rice! It’s delicately poached chicken infused with ingredients like ginger and garlic, with the resulting aromatic stock used in the preparation of the fragrant rice and also in the accompanying soup. It is a dish that needs to be experienced first hand to understand its infamous appeal. Served with dark soy sauce, like kecap manis, pounded ginger, and chili sauce – the condiments are just as important and delicious as the dish itself. 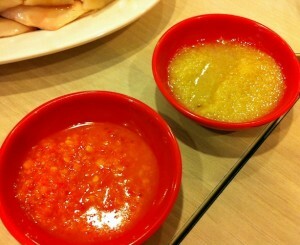 And sauce combinations are also crucial – every Singaporean you meet will have their own perfect condiment ratio. We had just arrived back in Singapore from our lovely trip to Phi Phi and Krabi Thailand and made a beeline towards this restaurant with suitcases in tow. 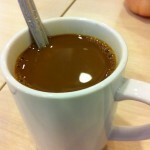 A friendly waitress took our order, and we opted for a kopi (coffee with condensed milk) to start. 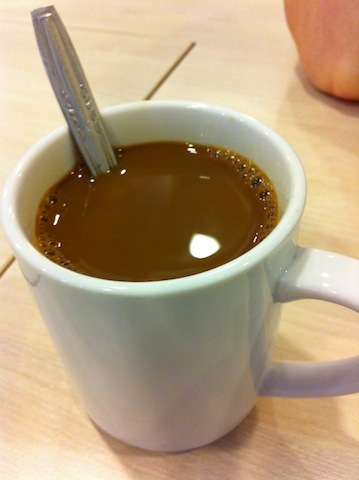 A strong brew, yet sweet and creamy from the condensed milk – all made for a perfect beverage. Then Gary and I opted for slightly different variations of the chicken dish. 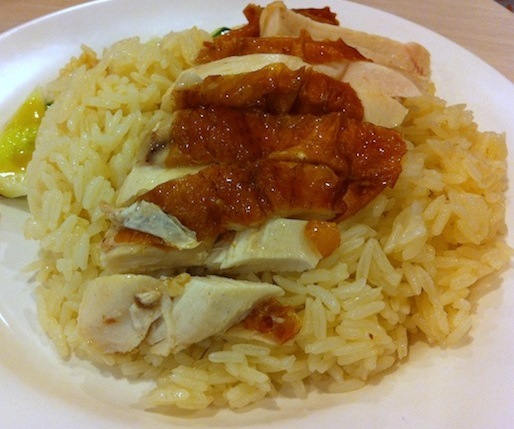 Pictured above: Chicken Rice ($3.80 SGD) – To change things up, I chose the roasted chicken variety. It was equally as scrumptious compared to the usual chicken they serve. 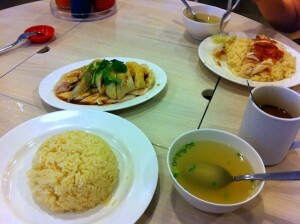 Chicken Rice for One ($5.80 SGD) – Served with rice and chicken on their own respective plates. 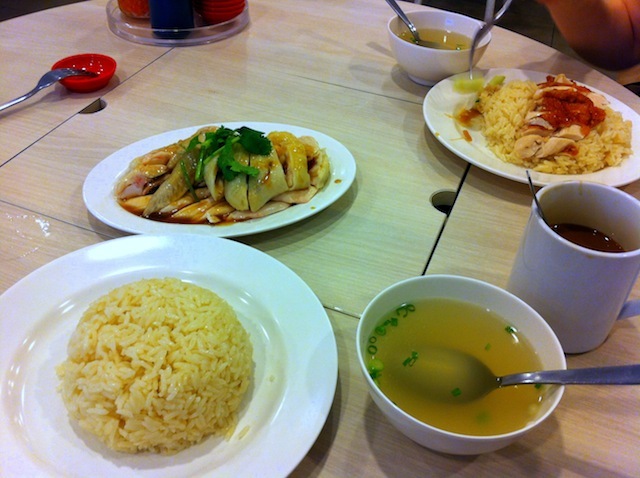 Gary ordered this well-sized meal since it was a larger portion than the standard chicken rice dish. 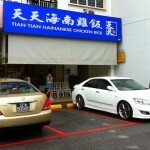 Overall, Tian Tian does serve some delicious chicken rice. Although, it’s challenging to find bad chicken rice in Singapore – or bad food in general! Like Bourdain says “If you love food, Singapore just might be the best place on earth”. Amen to that, Tony.